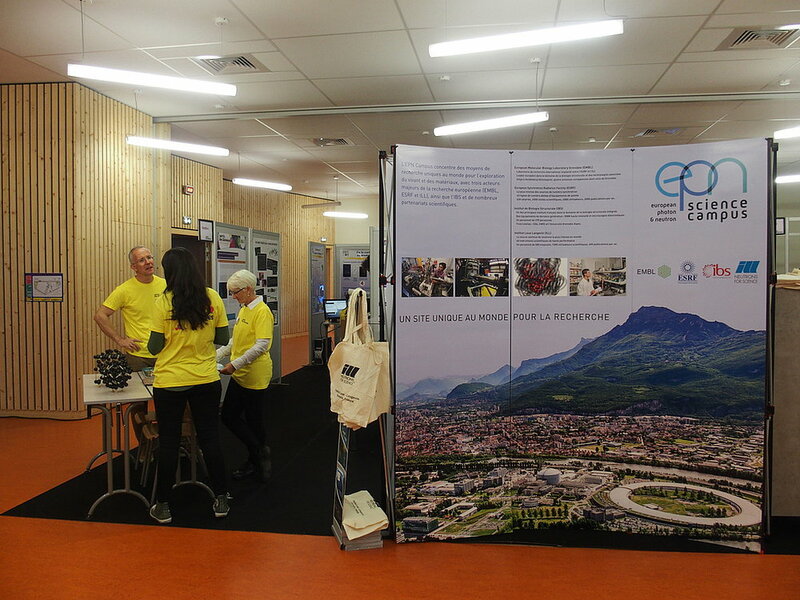 On Saturday 8 October, the four EPN campus institutes held a stand at the French Science Festival "Fête de la Science". 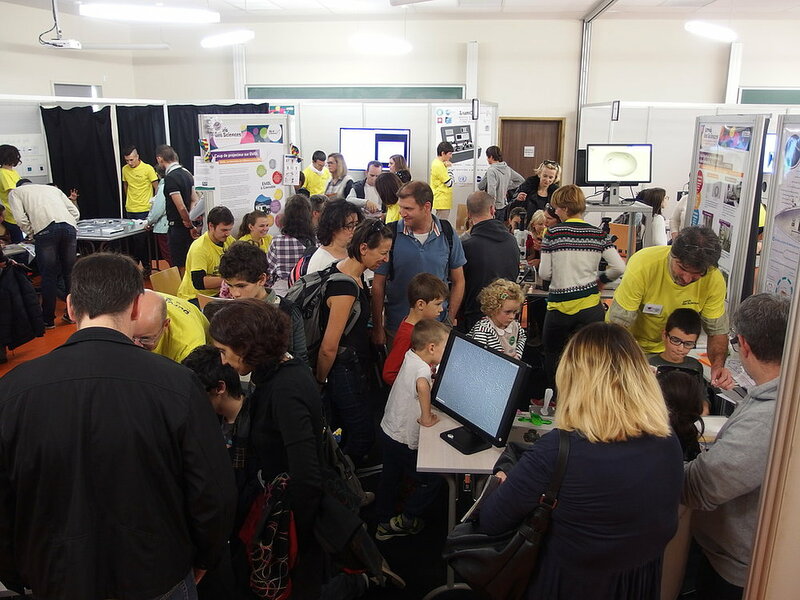 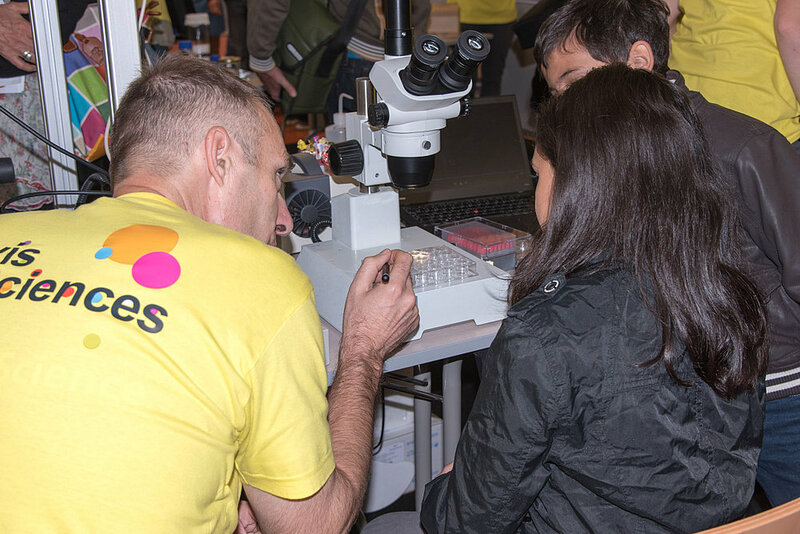 We welcomed most of the 2800 curious and enthusiastic visitors who came to the Parvis des Sciences that day. 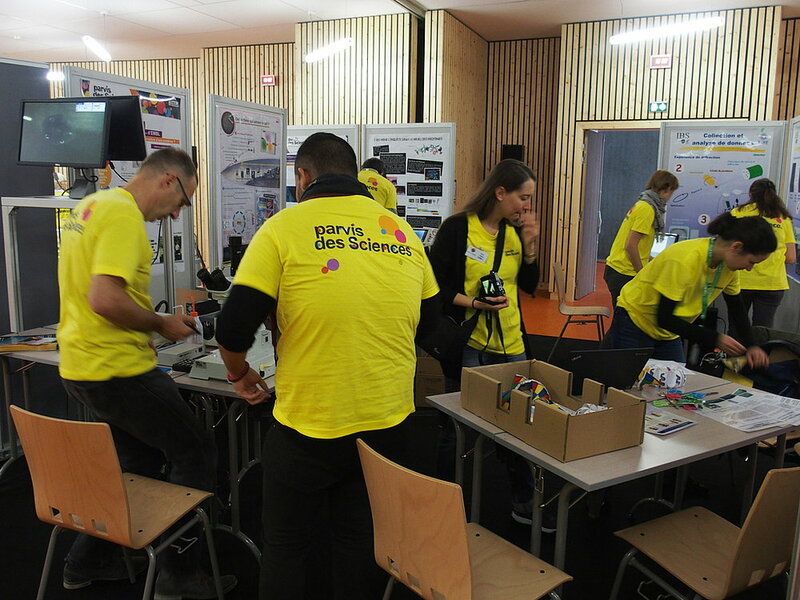 The public discovered the different activities and research carried out on the EPN Science Campus, guided by more than 30 passionate volunteers from the 4 institutes, demonstrating once more the complementarity of these institutes and the importance of geographical proximity. 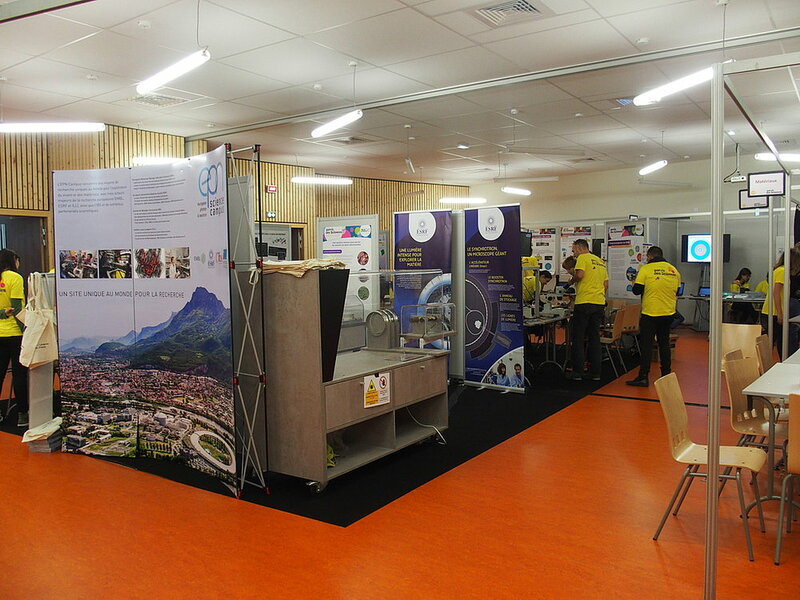 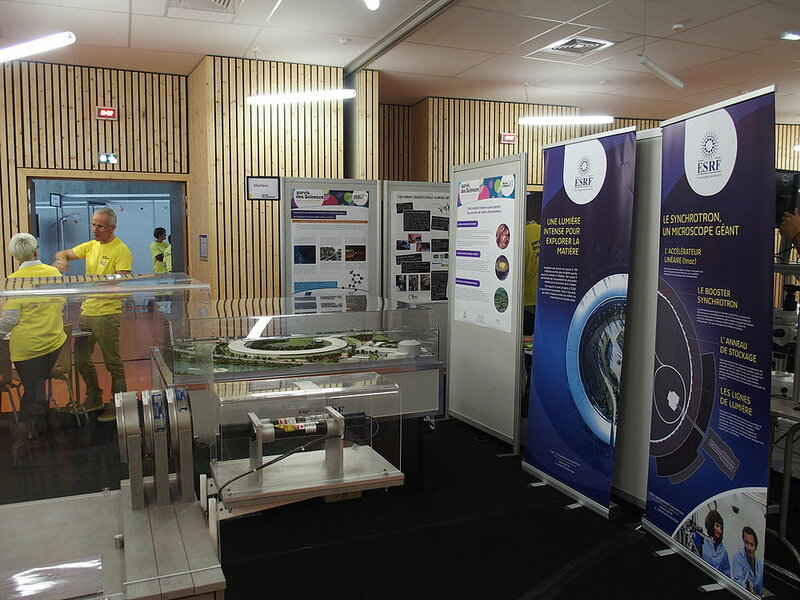 Half of the stand was highlighting to the large-scale facilities (ILL / ESRF), and their wide range of scientific activities. 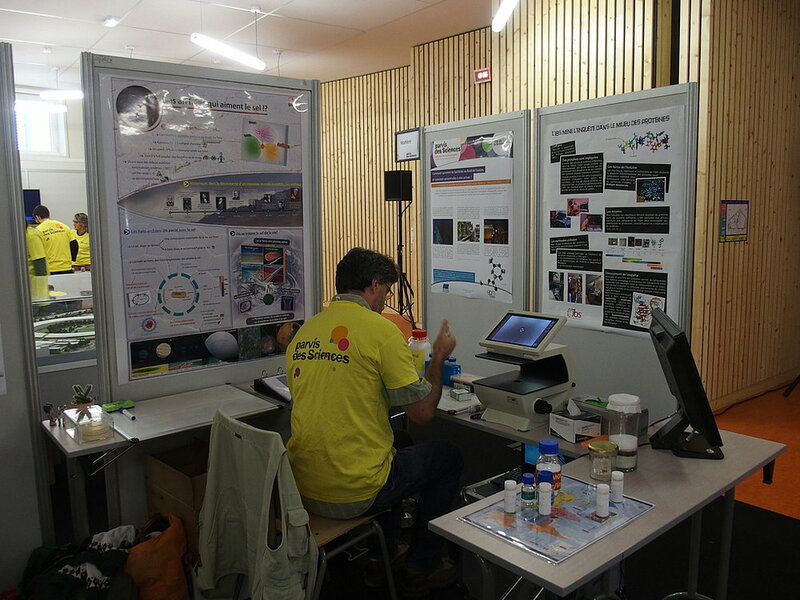 The other half was dedicated to structural biology, with many hands-on activities coming from EMBL Heidelberg. 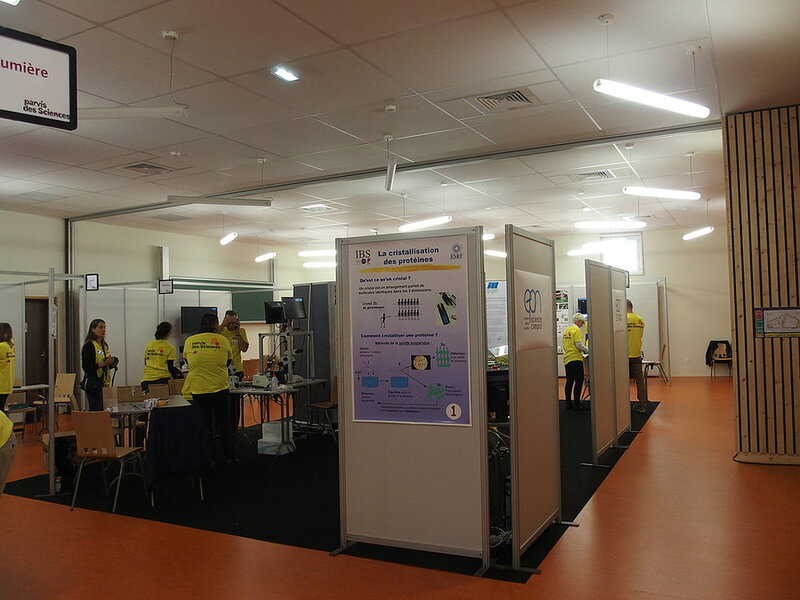 No doubt, a great success, organised by the communication units of the four institutes. 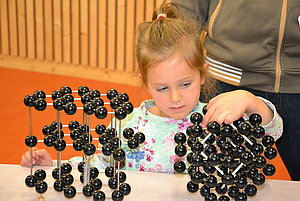 Many thanks to our visitors, and to all the volunteers who made this possible.